Jade Presents, Jade Nielsen Properties, and Fargo Brewing Company are thrilled to announce the renovation and expansion of the brewing company’s 610 N. University Drive building. Fargo Brewing Company’s current space will be reborn this summer as a coalition of craft-minded businesses, combining the brewery and taproom with several other businesses taking residence in the expanded building. In addition to enjoying their favorite FBC beer, patrons will now be able to stop in for a haircut, tattoo, or artisan espresso drink all under the same roof. The opportunity to catch live music at the brewery will also expand with the opening of a new venue, The Hall. The expansion of the building is expected to roll out in phases over the course of the summer. Red Buffalo Barbers, Zoltar Tattoo, and Stumbeano’s Coffee will all be moving in to the new space. A new- and-improved Fargo Brewing Company taproom, outdoor patio space, and year-round food truck will also be unveiled during the summer months along with The Hall at Fargo Brewing Company having its grand opening. General admission, $45 in advance; $50 day of show. 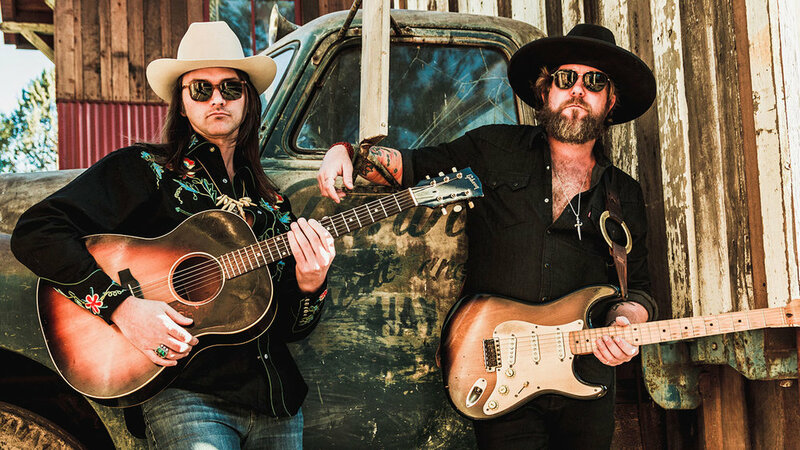 They will kick off 2019 with a new Allman Betts Band album and a worldwide tour that will feature new music, songs from their solo projects and classic Allman Brothers and Gregg Allman tunes in honor of the 50th Anniversary of The Allman Brothers Band. The new ABB will include Devon, Duane, Berry Oakley Jr. (son of original Allman Brothers Band bassist Berry Oakley), slide guitar virtuoso, John Stachela and DAP percussionists R. Scott Bryan (Sheryl Crow) and John Lum. General admission, $25 in advance; $30 day of show. Additional fees may apply. Loaded guns, space heaters, and big skies. Welcome to the lethal littered landscape of Jim Heath’s imagination. True to his high evangelical calling, Jim is a Revelator, both revealing and reinterpreting the country-blues-rock roots of American music. He’s a time-traveling space cowboy on an endless interstellar musical tour, and we are all the richer and “psychobillier” for getting to tag along. These foxy rockabilly chicks dressed in poodle-skirts and cowboy boots slamming the night away. It’s like being magically transported into a Teen Exploitation picture from the 1950’s that’s currently taking place in the future.